Manahawkin is located within Stafford Township, in Ocean County, New Jersey. Manahawkin is the gateway to the many resort communities on Long Beach Island, with Route 72 providing the sole road access, ending in Ship Bottom as it crosses Manahawkin Bay via the Manahawkin Bay Bridge. If your looking to relocate to Manahawkin, or searching for a Manahawkin vacation home I can help. Search my site today and when your ready to talk to a realtor contact Pattie Romano, Your New Jersey Hometown Realtor Associate. 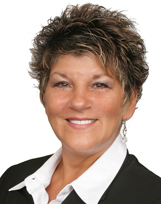 Selling your Manahawkin home? Contact me for a Free Home Evaluation.